Center for Peace, Development and Reforms (CPDR), hosted a group of Professors from the University of Massachusetts here in Islamabad. The event was attended by people from cross section of the society including political activists, journalists, youth leaders and academicians. 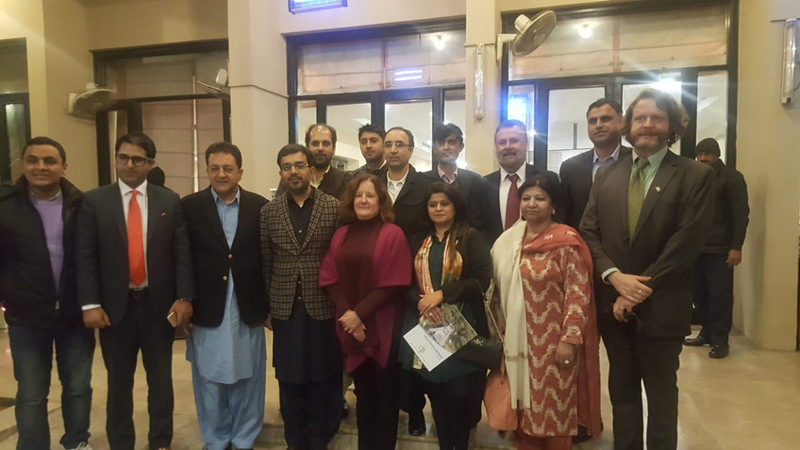 The delegation from Massachusetts University’s Civic Initiative was on a two-week visit to Pakistan where they took part in various meetings discussing intricacies of Pak-US relations and possible avenues of cooperation. Professor Michael Hannah, an expert in Political Science opened the discussion wherein he shared his views on the dialogue process in Afghanistan and discussed how in today’s world of realpolitik, countries with common minimum objectives cooperate with each other. He shared interesting insights on how the US views Pakistan as an important ally in South Asia and acknowledged the fact that peace in South Asia depends on the strength and stability of Pakistan. He presented a thorough critique of Trump administration’s impulsive policy towards Pakistan and maintained that no policy endangering Pakistan’s stability is likely to work in the region. Moderating the session, Dr Waqas Ali Kausar, Head of Governance Department in National University of Modern Languages, shared noteworthy insights wherein he discussed the evolution of US Federal System of Governance and maintained that a robust democracy in Pakistan will one day deliver a political system representative of all schools of thought and minorities. He discussed at length, the lacunas in the American electoral system and claimed that since no system is perfect, it takes an evolutionary process to fill in the gaps in representation processes at the top level. Present on the occasion, Mr. Usman Attique from All Jammu Kashmir Muslim Conference raised interesting questions about the future of globalization and Trump administration’s hasty attempts to reverse it. Other speakers including Mr Qaiser Khan and Nauman Ishfaq Mughal also questioned the priorities in the US foreign policy and the role of American corporate establishment in deciding the objectives of US Foreign Policy. Commenting on these observations, Michael Hanna said that US policymakers are always caught in a quagmire as they’ve contending countries and principles to follow. He clarified why US isn’t involved in any mediation over Kashmir, claiming that it may further complicate the issue as happened in Syria and Middle-East after US intervention. Speaking on the occasion, Executive Director, Kashmir Institute of International Relations, Mr. Amjad Yousaf raised questions on the Republican Party’s policy of supporting authoritarian regimes in Pakistan. He questioned the willingness of US policymakers to look beyond their interests in the region and support a healthy democracy in Pakistan. Replying to Mr. Yousaf, Michael Hanna acknowledged the loopholes in the US foreign policy but maintained that a super power’s policy takes numerous considerations into account and therefore may seem counterproductive at various levels when essentially it’s not. Concluding the session, Mr. Ershad Mahmud, Executive Director CPDR, explored the future avenues of cooperation between America and Pakistan. 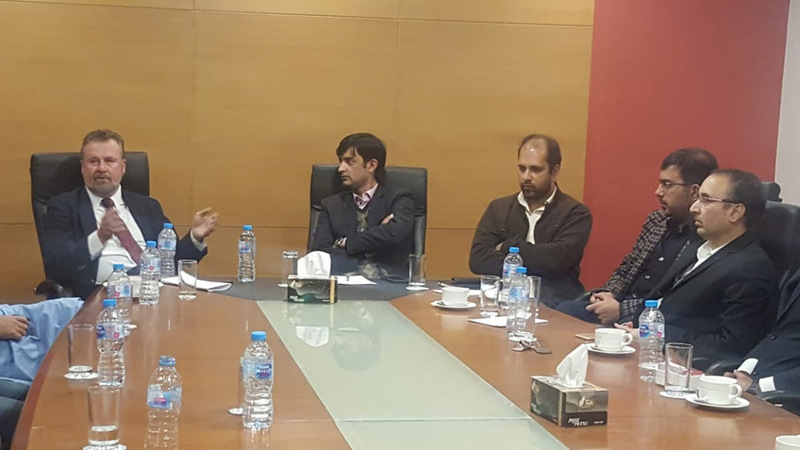 He as well as Raja Mansoor, Deputy General Secretary, Pakistan Tehreek-e- Insaf, Azad Jammu and Kashmir chapter, shared worrisome inputs about the image of Pakistan in the international community and discussed at length, the immediate measures to establish Pakistan’s soft power across the world. Michael Hannah focused on the need of people to people contacts and more exchange programs as methods to improve Pakistan’s image and maintained that Pakistan is a country with enormous potential. The only challenge, however, is to channelise this potential. He congratulated CPDR for organizing a session of thorough talk on Pak-US relations, hoping that cooperation at civil society level between America and Pakistan will improve in the times to come. 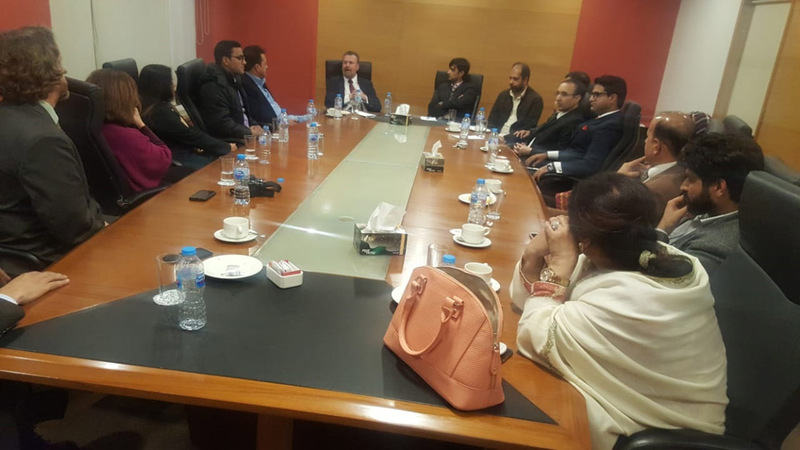 Dr. Shaheen Akhtar, Mr. Akram Ali, Mr. Jalaludin Mughal, Mr. Bilal Rajput and Saadia Qureshi also took part in the discussion.